You can't finish what you don't begin. "Begin is a sterling example of what iOS 7 should be about: a deference to clarity for the sake of your content." "Begin is an app that hits that spot between simplicity and usability." "Begin shows how you can be creative and minimal at the same time while designing a stunning iOS 7 interface." "It's fast, clean, and is one of those "get in and get back to whatever I was doing" kind of apps. And in the end, isn't this just what a task manager should be?" 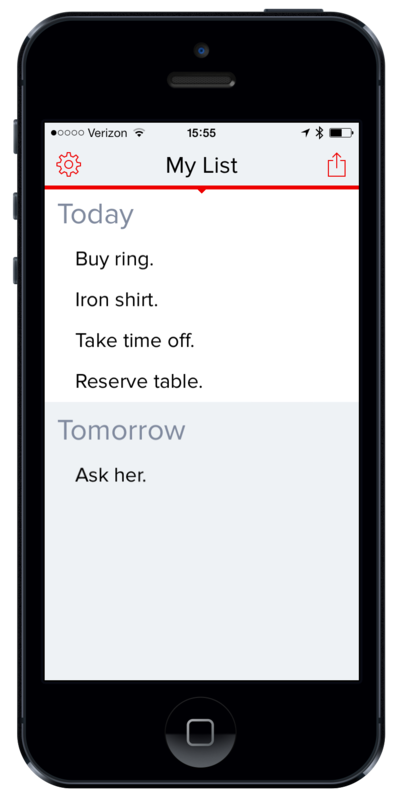 "If you want an app that is just as easy as writing a list on a piece of paper, then this one is for you." "Begin solves the problem it tackles extremely solidly, in a charming little package with a touch of whimsy." "It's simple, fast, and gesture driven. If you like the premise and simplicity of the Bullet Journal method, then Begin might be just the app for you."